The "pocket" in pita bread is created by steam, which puffs up the dough. As the bread cools and flattens, a pocket is left in the middle. Pita is now the western name for the Arabic bread called khubz (ordinary bread). It does however have other names in other western countries such as in Germany where it is sometimes known as brottasche (bread bag/pocket). Other breads of Arab or Egyptian, or kumaj (a Turkish loanword properly meaning a bread cooked in ashes), all baked in a brick oven. It is slightly leavened wheat bread, flat, either round or oval, and variable in size. The tenth-century Arab cookery book, Kitab al-Tabikh by ibn Sayyar al-Warraq, includes six recipes for khubz, all baked in a tannur oven. Historians believe its history extends far into antiquity, since flatbreads in general, whether leavened or not, are among the most ancient breads, needing no oven or even utensil for their baking. The first evidence of flat breads occur in and around Amorite Damascus. Today, I have a yummy sandwich that would be perfect for any occasion. 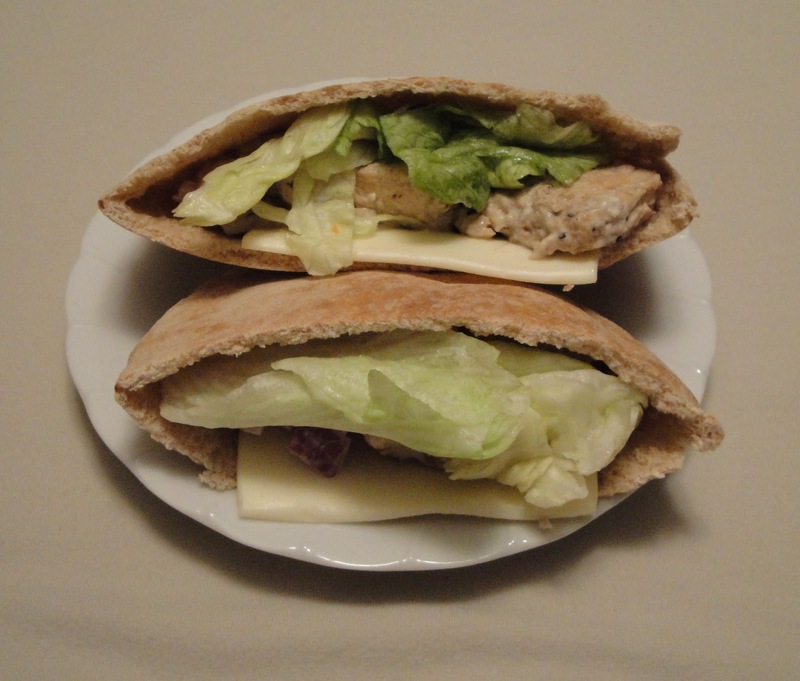 To assemble, fill pita with lettuce, cheese and chicken mixture. In skillet, heat oil over medium heat. Add chopped chicken in skillet. Season chicken with liquid smoke, salt, steak seasoning and Worcestershire sauce. Stir, cook about 8 to 10 minutes, until chicken cooked through and no longer pink. Enjoy! I have seen liquid smoke in many of your recipes. I could not find it here in Super market or in health food store. 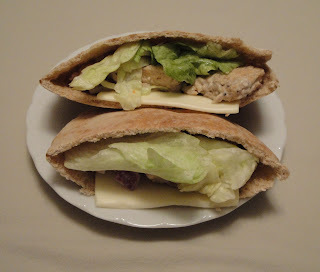 Easy and delicious pita pockets. I've always enjoyed pita pockets, and this looks delicious! Interesting info too! Nice and easy, so refreshing. No, haven't tried making them yet. Hey Christine, great recipe, always works on those days, you don't want to cook too much. Thanks for stopping by and leaving a comment. Nice combination of flavors. One of my favorite types of sandwiches. I love ranch dressing. Looks great! I had no idea that this was found in other places in the world with their own origin. Great sandwich! I love your chicken filling, Christine. Sounds delicious and easy to prepare! I love all unleavened breads, easy to make at home too, you should give it a try. One of my very first blogs was for unleavened bread cooked on an open fire when camping. I would love one of these for lunch! This looks just too good for words. The first time I used liquid smoke was in a salmon dip. Way back then I thought if a little was OK, more would be better. How wrong was I!!! When I make this I'll pay attention to the recipe. You have to be careful when using liquid smoke. A little goes a long way. To much liquid smoke will destroy a dish.